The Kansas City Royals take on the Chicago White Sox on Sunday at U.S. Cellular Field in Chicago. The Royals are 18-6 in their last 24 games vs. a right-handed starter and are 11-4 in their last 15 road games. Kansas City is 5-2 in their last 7 games vs. a starter with a WHIP greater than 1.30 and are 7-3 in their last 10 games vs. a team with a winning % below .400. The under is 4-0-1 in the Royals last 5 games vs. a starter with a WHIP greater than 1.30 and is 4-1-1 in their last 6 overall. The White Sox are 11-3 in their last 14 home games vs. a team with a road winning % of greater than .600 and are 2-7 in their last 9 games vs. a starter with a WHIP greater than 1.30. Chicago is 1-4 in their last 5 games vs. a left-handed starter and are 1-5 in their last 6 games vs. a team with a winning % above .600. 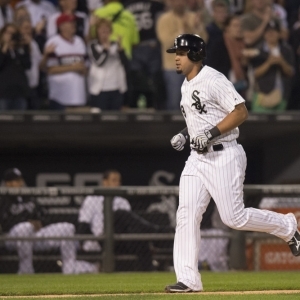 The under is 4-0 in the White Sox last 4 overall and is 4-0 in their last 4 on grass. In head to head matchups, the Royals are 20-6 in the last 26 meetings in Chicago and the over is 7-3-1 in the last 11 meetings.